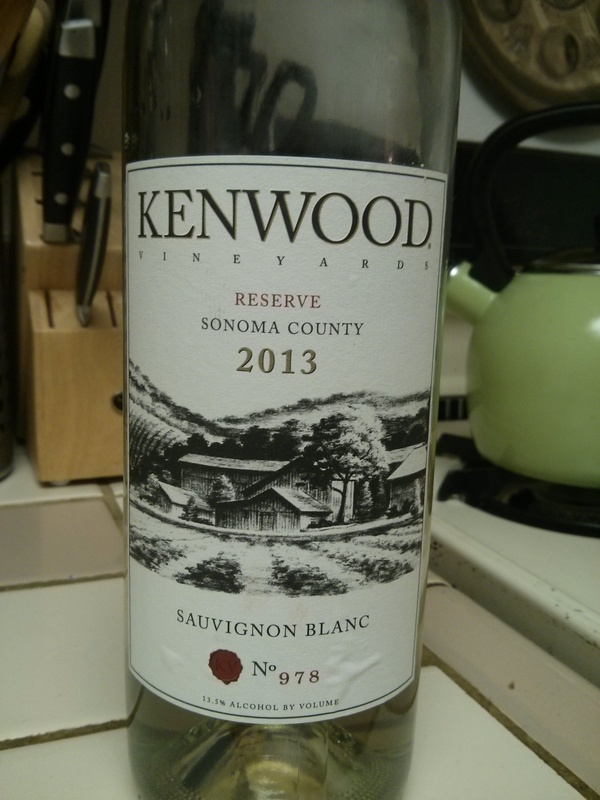 The first thing I thought of when taking a sip of the 2013 Kenwood Vineyard Sauvignon Blanc was: Spritzy! I felt a surprise party in my mouth! No, really. This very bright wine, that has a little oily nature, was unexpectedly acidic. It was stored in stainless steel tanks, so that could have been the reason for the extra bubble. It’s fruit-forward and tangy, the lemony/sour notes were honestly a bit overwhelming. Price: $19.99. Purchased during BevMo 5 cent wine sale, so got two for one! When to drink: This Sauvignon is a good everyday drinker, if you like Lemon Drops! Actually, that’s a good idea, pair this wine with some sour patch kids and watch a funny movie on Netflix.